Image Size: 12 X 14 in. Award-winning artist Scott Gustafson is widely recognized for his classic, opulent paintings, many of which are inspired by best-loved fairy tales and nursery rhymes. 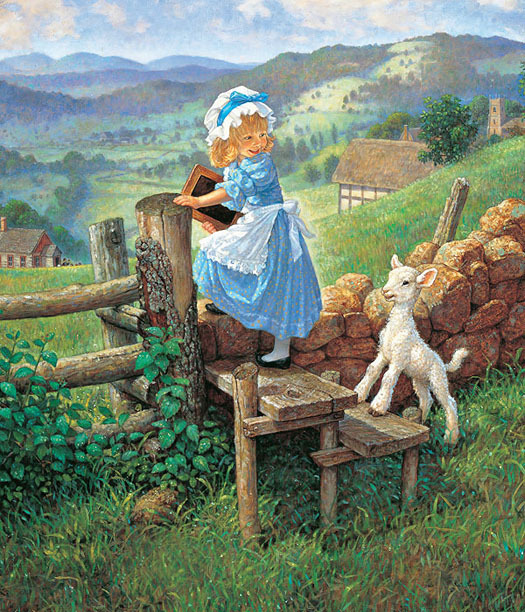 His enchanting artwork can be found in best-selling books including C"lassic Fairy Tales" and "Favorite Nursery Rhymes from Mother Goose." Scott Gustafson’s Gift & Decor editions from The Greenwich Workshop are the perfect baby-shower gift and look terrific together as a suite of classic art from a children’s master storyteller. Let your child’s wall tell a story!